10 minutes of prep time! 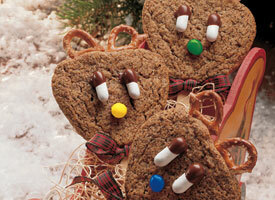 These cute ginger cookies are fun to make and are delightful party favors for a child’s holiday or birthday party. Recipe here.